Get Old West Fancy Town People Attire from our huge collection of Old West Costumes for any Old West Characters including Old West Upper Class and Rich Corrupt Sheriffs & Politicians. Get the Old West Theatrical Wealthy Socialite Attire for Old West Bankers, Old West Saloon Owners, Old West Wealthy Ranchers, Old West Lawyers, Gamblers or any Old West Characters you can imagine. Get Super High Quality Old West Attire or Economy and Median Class Theatrical Old West Costumes and Halloween Theme Party Costumes. We have the Largest Collection of Old West Garb and Costumes in the Dallas Area. 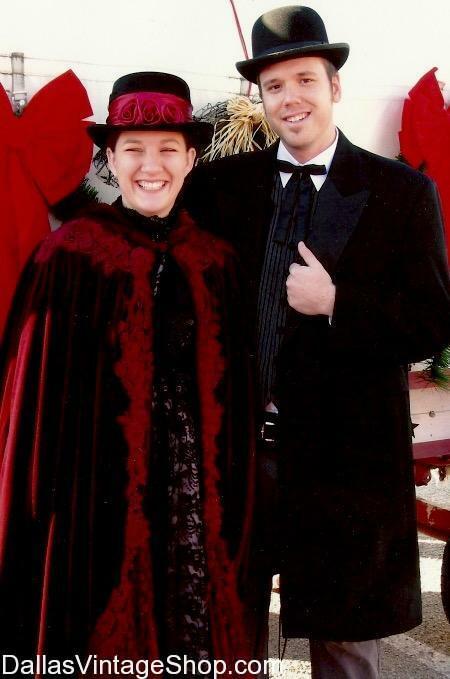 Get Historical Reenactment Attire and Vintage & Modern Old West Movie Characters Outfits. We are open all year.